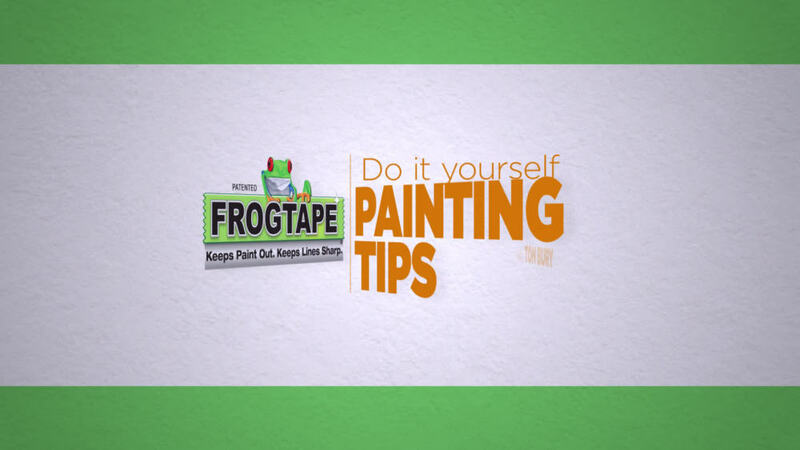 Get crisp, clean lines on your next painting project with FrogTape Delicate Surface Painter’s Tape. How does it work? It’s made with exclusive PaintBlock Technology, a super-absorbent polymer that reacts with the water in latex paint and instantly gels to form a micro-barrier that seals the edges of the tape to prevent paint bleed. The result is a crisp, professional paint line. Specifically designed to work on delicate surfaces such as fresh paint, wallpaper and decorative projects, this premium grade masking tape is perfect for when you need a lower adhesion level to help prevent surface damage. Bought the delicate frog tape to edge where my wall meets the ceiling. The ceiling was painted 3 weeks ago and i wanted to be sure there would be no damage when the tape was removed. When i removed the tape, strips 12 inches long of ceiling tape were removed along with the joint plaster. I now have to repair the ceiling as well as re edge the walls. Have you ever considered making your tape products in larger sizes for the “crafters”? I have used your tape with my Cricut to cut shapes and letters for painted craft projects.......it would make the task much easier if Frog Tape would come in sheets.....instead of just on a roll. The thought is nice but the reality is very different, the new paint version is rubbish, when you peel it off it takes the paint with it no matter how careful you are. What good is a straight line with half the paint missing!!!!! After reading some of these reviews I was nervous to use the yellow tape. I painted my ugly linoleum kitchen floor with 2 coats of white porch paint and only let it dry for 24 hrs before taping off for a gray striped pattern. Did 2 coats of the gray porch paint in the stripes and pulled up the tape before the 2nd coat dried. It was beautiful! Straight crisp lines with ZERO paint coming up or leaking under. Loved this product. I will use it again. Its perfect for when you don't have time to wait for paint to cure before taping off for the next color. Thank you!!! It's taken me six months to get over my anger from having used Frog Tape Yellow to the point where I can now write this review. I took Thanksgiving week off last year to remodel our bathroom. The Saturday before Thanksgiving, I removed all the plumbing and lighting fixtures, wall accessories, and washed the walls and ceiling complete. After letting everything dry overnight, I painted the ceiling first thing Sunday morning knowing I needed to wait at least 24 hours before applying Frog Tape Yellow. It took the next two days to finish patching and prepping for the new plumbing, lighting, and wall accessories. On Wednesday morning,three days after having painted the ceiling, I applied the Frog Tape Yellow to the ceiling in the hopes of saving time cutting in the edges and corners. I put two coats of paint on the walls Wednesday and removed the Yellow tape promptly after cleaning the roller and brush. To my disappointment, sizable sections of ceiling and wall paint came peeling off as I removed the tape. I spent Thanksgiving, and the next 3 days, leveling and repainting the ceiling and wall surfaces. This was my first time, and my last time, using Frog Tape Yellow. I used this whilst decorating my sons room & i was more than disappointed. It bled through on almost every inch & took off paint. It took me hours to go over every single line with a fine paintbrush touching up all the bleeds. I have had better results using cheap masking tape. Save your money & buy a roll of ordinary stuff for £1 - you'll save both time & money. Great product! Used since this product first game to market never had any issues. Negative reviews are user error. Remember this product is for latex based paints. Paint block technology interacts with water if you use oil based paints or stains you won't get the desired results. If delicate tape removes painted surface underneath ask yourself the following - on freshly painted surfaces did you wait at least 24hrs before application - were walls painted correctly before application; sheet rock dust knocked down and wiped with wet rags, primed preferably PVA primer and then painted with two coats of paint. If this tape removes old finish it isn't the tape it's poor adhesion of old finish. This product was great to work with. We wanted to paint a spare bedroom but did not want to remove the existing wallpaper border that was around the perimeter of the room at the ceiling (about a 3- 1/2 inch border). We were using the same color paint as well. After reading online about the use of the delicate Frog tape, we decided to purchase for this project. My husband used the tape for sealing the border, the window and door moldings. Painted the walls and then removed the Frog tape (yellow for delicate). He loved working with this product and there was not any leakage of the paint onto the moldings or the wall border. He did remove it immediately after painting. We are very pleased with this product and let the company we purchased this from aware of it and we wanted others on this site to know as well. Thank you! Masked up coving to paint the final coat on wall, when I removed the tape it has removed all white paint on coving. Not happy!! Absolutely furious. If I could leave less than one star I would!! Do not use and ruin your painting! !